I have recently found myself saying: “I am only limited by my imagination,” and it’s true! I have an incredible opportunity at ONDA to dream big and then make it happen. 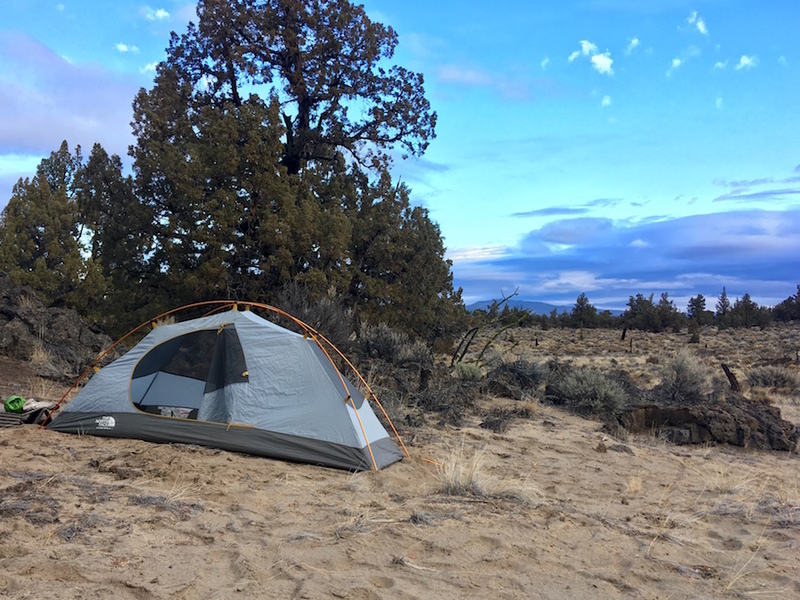 This past weekend we celebrated 10 years of a wilderness area that ONDA was pivotal in helping to designate, the Oregon Badlands Wilderness. Over the past two years I’ve led some trail work trips with volunteers to help build some new trail…new trail that helped to link together other existing trails…and that work helped to create a 50.1 mile network of trails in the Badlands (9 of which are along the Oregon Desert Trail). Then I had the idea of creating a challenge to hike all 50.1 miles. Turns out there wasn’t a map with all the trails and mileages, so I made one. And now it’s live! The Badlands Challenge: hike all 50.1 miles in the wilderness; write a desert hike-u (haiku) and identify three new species (new to you!). Read all about it here. Since I started working with Six Moon Designs five years ago it was always a bit of a mystery to me why more hikers weren’t familiar with the lightweight cottage gear company. Ron Moak started the company before most of the ultralight movement hit mainstream, and the products were well designed and much more affordable than some of the alternatives on the market. So it is awesome to see some of the recognition coming out… This year with Backpacker Magazine’s “best of” award for the Lunar Solo tent! It’s my new tent too this year, and I practiced setting it up on a recent trip to the Oregon Coast Trail last month. I used the Deschutes tarp on the CDT in 2015, and it’s the same set-up, but with mosquito netting in a fully enclosed tent. Mint!!! I can usually ignore the bugs, but sometimes you just need to totally get away from the blood suckers, so I am excited to have this one-person tent to add to my collection. I also started using their new Minimalist backpack too. February was a quiet one. Kirk and I had been planning a grand month-long adventure to celebrate our 10 years together, fortunately coenciding with our recent purchase of a truck camper from my folks. The plan: load skis, gear, food, books, games and movies for a ski trip around the Pacific Northwest. Snow parks were our nightly destinations, and nordic trails mapped out the daily adventures in the never-ending freshies. I thought I might do a lot of writing, blogging, or making videos with the years of go-pro adventure footage I’ve been taking on hiking, packrafting and skiing trips…I even set myself up with a sweet little mobile studio…but I didn’t do any of that. It was a month of being. Of being in the moment. We skiied our way up Washington state…hitting spots from Lake Wenatchee to the Methow Valley. We popped into Mt. Rainer, St. Helens and Olympic National Park, and did our best to avoid getting the truck stuck in the snow. We had ocean views from our camper, soaked in hotsprings, and even hit two long-distance trails (skiing on the Pacific Northwest Trail and beach walking on the Oregon Coast Trail). I didn’t do much thinking or any writing, but there was a fair amount of reading and playing cards. It was lovely, peaceful and quiet. Then I was interviewed for an article over at the REI Co-op Journal about creating routes. It’s pretty exciting to come to the point where what I have been doing for fun all these years has made me an expert in the subject…of hiking! WOULD YOU CREATE YOUR OWN THRU-HIKE? Minutes after beginning the descent into an 800-foot canyon that’s home to Big Jacks Creek, a piercing rattle forced Jason “Ras” Vaughan to freeze. He could see the snake curled between rocks only a few feet ahead. Up on the ridge his wife, Kathy Vaughan, was waiting to find out if there was a safe way down to the river—this was the only water source around for 22 miles. Surrounding Ras was only more scree, so he yielded to the rattler, opting to find another way as a thunderstorm approached. That was only 53 miles into their trip that they have dubbed the UltraPedestrian (UP) North Loop—a 2,634-mile circuit that strings together the Pacific Crest, Pacific Northwest, Idaho Centennial and Oregon Desert trails. The stretch with Big Jacks Creek wasn’t a trail at all, but a route through the backcountry that the Vaughans charted to link the Idaho Centennial Trail with the Oregon Desert Trail. That meant bushwhacking through sagebrush, navigating with a GPS or map and occasionally tackling surprise terrain features on the fly. After enduring the storm that night, Ras and Kathy found a safe route to Big Jacks Creek, then continued on to Oregon. The duo completed the loop on November 5, 2018, after starting on May 14, and were the first to hike the trail. These sorts of trips are becoming increasingly common as the U.S.’s established long trails become overcrowded, Kathy says, adding that some long-distance hikers are looking for another challenge—and some solitude. What is a new route? Patrick says that for those with navigation skills and an extensive backcountry résumé—backpacking or hunting—creating a thru-hike can be a rewarding experience. Plus, it’s an opportunity to get away from the crowds and test one’s limits in a different way than an established long trail. After looking at a map of the U.S.’s long trails, the Vaughans noticed existing ones that could be strung together—which morphed into the UP North Loop. That’s where they recommend starting to plan for a new route: search for pathways that may intersect. On established trails, most of the planning involves typical thru-hiking preparation, like searching guidebooks or the internet to identify water sources and resupply points. It takes even more planning to connect routes between trails. It’s also important to know who owns the land the route will trace through, says Andrew Skurka, who has thousands of miles of route hiking under his belt from journeys like the Great Western Loop that covers almost 7,000 miles across the western U.S. Public land is the obvious first choice. He says this is where navigation apps, like those above, that show land ownership come in handy. But at times Skurka says there’s no viable pathway using public property, leaving a road as the only legal, public option. Even if you find a promising watering hole, there’s no certainty that water will be available year-round. So, Patrick says to carry more water than you think you’ll need, especially in dry regions. When it comes to resupplies, the Vaughans had to hitchhike or road walk into small towns, often in remote areas where locals weren’t accustomed to catering to thru-hikers. That meant there were few serendipitous ice chests full of food and soda left by compassionate strangers like you’ll find trailside on the Appalachian Trail, called trail magic, or businesses offering discounts to hikers. They mailed food ahead, around 150 to 200 miles apart. “Once we were actually on the route, we fattened that up by buying additional supplies in towns and we went to a number of trail towns we had not planned on visiting simply because we wanted a little taste of civilization,” Ras says. First-aid knowledge, as well as a solid kit to help with minor scrapes and injuries, is a great resource. Kathy recommends Wilderness Medicine Courses as the best tool against a life-threatening situation. Not only will a certification give you resources to navigate a medical issue in the backcountry, but it will provide insight into preventative measures like not getting too sweaty when trekking through the cold. “We did a lot of night hiking so that we could move efficiently through the desert when it was cooler,” she says. The fire spread in a blink of an eye and soon feathers were floating down around me like fat snowflakes. My down sleeping bag was the casualty in my momentary lapse of judgement that morning. I simply hadn’t let the alcohol dry on my hands when I lit my beer-can stove, and the moment my hand was on fire I waved it around (note: don’t do that) and splattered flames onto my sleeping bag. It was day 100-something of my PCT thru-hike, and the only thing I could do was get out my patch kit of dental floss and a sewing needle to close up the 10 inch burn hole. Gathering as many feathers as I could, I stuffed them back in the gaping space that was once my sleeping bag and went to work. You know what? That sleeping bag got me to Canada and I still have it. Its frankenstein mint-flavored patch job is still there. It still keeps me warm. Don’t get me wrong, I love new gear. I have since purchased other sleeping bags. I have a -20 degree bag that was mandatory for the frigid nights during the two years I worked as a wilderness therapy staff in the deep winter of Central Oregon, I have a 40 degree quilt that I use for warmer summer nights when leading trail crews along the Oregon Desert Trail. There is a glut of cheap gear outlets, websites, and sales around the holidays, but I would love if we put more emphasis on reusing old gear, fixing our patches, zippers and waterproofing and making do with what we have. We do it for cans, paper, glass. Lets do it with our gear. When I moved to Bend over a decade ago, I was stoked to see we had two used gear shops in town; I had outfitted myself entirely from used gear sales for my 2006 PCT thru-hike. Then I noticed a gear repair booth set up at various outdoor events. Even better! My thrifty nature was directly related to spending all of my money on long distance hikes, so along the way I looked for ways to get the most out of my gear and my dollars. Repair, reuse, recycle. I first met Kim Kinney at a mutual friend’s art show. Kim was behind those gear repair booths I had been seeing, and she had the chops to fix almost any kind of outdoor gear. She had spent years working on custom gear design, and as an avid outdoors woman, she knows first hand what we put our gear through in the backcountry. Kim has repaired several tents for me. I thought these would be intensive repair jobs; the zippers weren’t closing and seemed mangled, dirt and grime and years of backcountry use convinced me they needed to be replaced all together. It turned out to be quick and cheap and easy. New sliders on the zippers, was that it?? Before you throw out or donate that down coat with the burn hole, or that backpack with broken buckles, look into fixing it. I would imagine many mountain towns around the country have gear repair shops. Heck, even if you want to resell it on Craigslist, you will get more moolaa for it if it’s in good shape. Even if you break out the mint-flavored dental floss to sew up a tear, do it. Lets not throw more money down for things we don’t have to. Save it for that pizza and beer after hiking 100 miles through the Wind River Range, or after paddling a week in the Boundary Waters. If you don’t have a gear repair shop near you, ship it to Kim. She works on a variety of gear, tents, backpacks and bags, motorcycle clothing, luggage and zippers. Find out more here. Lets make fixing our gear the first step before buying something new. Oh! And you don’t always have to have the fanciest gear… One of my favorite pieces of gear is a trash bag. It’s a rain skirt, pack cover, ground cloth, rain coat, stuff sack… You name it. I’ve been working with local Bend company, Food for the Sole, for the past year as they are getting their dehydrated adventure food business off the ground, and man are they killing it! I wrote a blog post for them recently that had nothing to do with their delicious vegan and gulten-free meals, but after hearing the term JOMO (Joy of Missing Out) I just had to write about it. JOMO is the antidote to FOMO (Fear of Missing Out). The drive to contribute to society and make a difference for the betterment of the world has been a pervasive theme in my life and those around me. It could have started when I joined the Peace Corps as a fresh-faced college grad. It could have roots in childhood when I was surrounded by my parents and their inspiring and idealistic friends, or it could have ties back to the volunteerism stressed by schooling and community groups over the years, but a part of me thinks it came about much more organically. I believe my greatest foundation comes from a childhood spent climbing trees, building forts in the neighbor’s corn field, and riding bikes to the nearest swimming hole. It was time spent outside. Deep time. As a child of the 80’s, our generation was blissfully unaware of the future where the masses would be closely tied to the machine in our pockets, where a legion of “online friends” would influence everything from voting to vacation destinations. FOMO, or Fear of Missing Out, is real, and is really impacting modern life. For fear of missing out, the phones are never far from wifi, and the tablets tuned into the 24/7 news cycles. The selfies are often sunny and the posts paint a picture that hide the more boring traces of reality. I recently became acquainted with the term JOMO, and think it has the potential to flip our modern agnst around to instead embrace the Joy of Missing Out. Thru-hikers know JOMO. Deep in the folds of mountain ranges where the 4G peters out and the sunlight filters in, we have to engage with the world around us. We watch aspen leaves shudder in the wind, and ants slowly build their kingdom. We know the pace of human breath and rhythmic beat of footsteps on trail. All this can be experienced on a day hike or weekend excursion, but for true release from the need to be connected to the world of metadata and algorithms, I think we need more deep time. Deep time: a long time spent in nature. A month is good, two is better, three to four months? Freaking fantastic. Deep time resets our internal clocks, resets our need to be observed and applauded all the time, resets our connections. By embracing the Joy of Missing Out you are blissfully unaware of the latest movies, political maneuvers, memes and music, but you are blissfully aware of the full moon, the slow move of the seasons, and the transformation of your body that comes from walking every day, all day, through a landscape. Can deep time in nature help create a better world? Can extended time in nature breed empathetic humans who want to contribute to the health of their communities? The wilderness doesn’t need us. The mountains don’t care if we are hiking or climbing, but this indifference to our comfort demands our respect, and we must rise to the occasion to stay safe, warm, and contented while outside. When spending deep time on a trail, we realize our connection to all around us, we are not separate from the woods, we are part of the woods. That respect has ripple effect. Yes. I do think deep time can change the world. At least it will change us. Our public lands are feeling the pressure of this government shutdown as record levels of trash and poop are building up in some of America’s favorite places (Joshua Tree National Park, Yosemite National Park, Crater Lake…) The federal workers who are mandated to care for these lands have been furloughed, and volunteers have come in to start picking up the trash in their absence. Yet this poopy phenomenon is, sadly, nothing new. Ask PCT hikers in Southern California. Ask kayakers about popular road-side river boating areas. Go to any primitive car camping spot with a well established fire ring. Chances are there will be trash, poop, and tp all over the place. I was car camping on some BLM land near Bend this weekend, and while I was reading about the levels of trash left by grown adults who know better in our national parks and becoming outraged, I looked outside to see trash spread out over the sagebrush and lava rock right where I was camping. Bring on the #hikertrashchallenge. It’s time to stop the madness and do more. Please pick up some trash on the public lands closest you, and if you like a good instagram post like me, use the hashtag #pickupyourhikertrash. Lets see what we can do. I’ve greatly enjoyed many aspects of hiking and creating routes over the years…among them? No rules, more solitude, more freedom, and more exploration! When I started working to develop the Oregon Desert Trail one of my first thoughts was that the ODT was awfully close to some other long trails in the Pacific Northwest like the Pacific Crest Trail and lesser-known Idaho Centennial Trail. Having spent hours pouring over Google Earth imagery and topo maps, I decided to find/make connector routes to both trails. Then I realized the Google Earth imagery available for SE Oregon and SW Idaho was from just a few years ago and that the satellite views were so good that I could see individual cows, the dark green hint of a water source, and the clear paths of dirt roads and trails from the comfort of my office chair. I made some gps tracks thinking one day I would have the time to ground-truth the route myself, or that some adventurous hiker would want to go hike it all in the name of exploration. Water wasn’t guaranteed, routes in and out of canyons weren’t guaranteed…there are definite reasons to go hike something you plot on Google Earth BEFORE you announce it to the world. Then Ras and Kathy Vaughan reached out last winter to inquire about the Oregon Desert Trail. They mentioned their intent to connect the trails together to make a giant loop of a hike (adding on the Pacific Northwest Trail), and I mentioned my armchair route scouting to connect the ODT with the other two trails. They seemed eager to give the route a go, and understood it may not totally work on the ground, but with their hiking resume, I figured they could figure it out. It was an ambitious plan. And they did it! My ICT to ODT connector was just under 100 miles, and the ODT to PCT connector was about 50 miles. A bunch of articles have been coming out about the Vaughans (or ultrapedestrians as they like to call themselves), and you can read one here from the Outside Magazine: This Couple Created a New Thru-Hike in the Northwest. And then people started telling me they heard about the loop from NPR! Ras and Kathy were interviewed on the show Think Out Loud, and you can listen to it here. I still want to hike it myself, and there are edits to make to the route as you will hear in the interview, but I’m so inspired by the drive of these two to strike out into the unknown and embrace the fact that things will go wrong, you will not anticipate all the challenges, and ultimately success comes down to making good decisions and making the journey itself the destination. It’s pretty exciting to look for adventures beyond trails, there are unlimited possibilities out there when you start creating routes of your own. Can thru-hiking change the world? 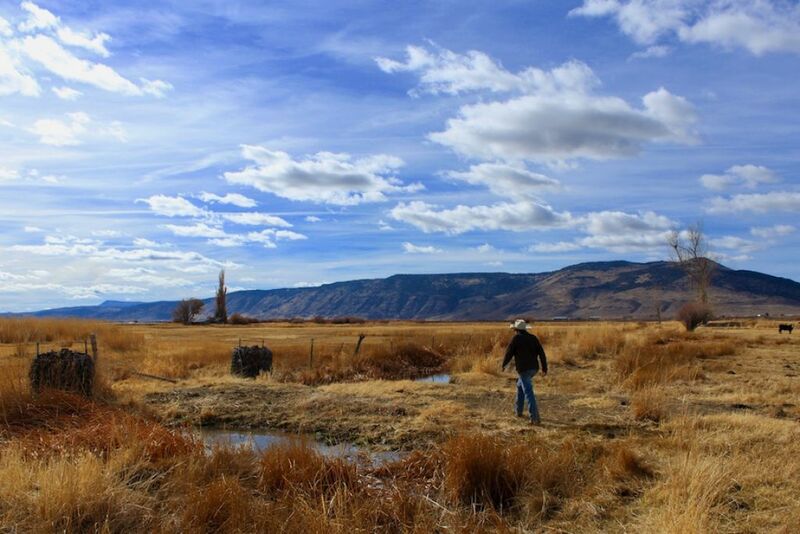 The trail that cuts through the Wild West of rural land-use politics in Oregon’s high desert. Ryan “Dirtmonger” Sylva crested a canyon rim and faced an endless expanse of sagebrush. He was hours from any sort of town, after spending days swimming through ice water in Louse Canyon, along a tributary of the Owyhee River in the remote reaches of Southeastern Oregon. He eyed two riders on horseback angling toward him. The riders, a cattle rancher and his son, asked Sylva what he was doing there. Sylva had grown used to puzzled looks from the denizens of the isolated desert, but this time it felt confrontational. Yet by the end of the conversation, he says his views on rural Oregon changed. Sylva is one of 26 long-distance hikers to finish the 750-mile Oregon Desert Trail. It’s not a hiking trail in the traditional sense. It’s a big conceptual “W” that the Oregon Natural Desert Association (ONDA), a nonprofit dedicated to high desert conservation, scribbled on a tapestry of public lands throughout Lake, Harney and Malheur counties. Unmarked sections require extensive route finding. Stretches of up to 40 miles are waterless. The trail’s visitation numbers are small, but its true potential is carving a middle path through a longstanding legal feud between ranchers and environmental groups. It’s emblematic of a decades-long public lands debate in the American West, a struggle that has encompassed national publicity campaigns, intractable legal fights, armed takeovers. 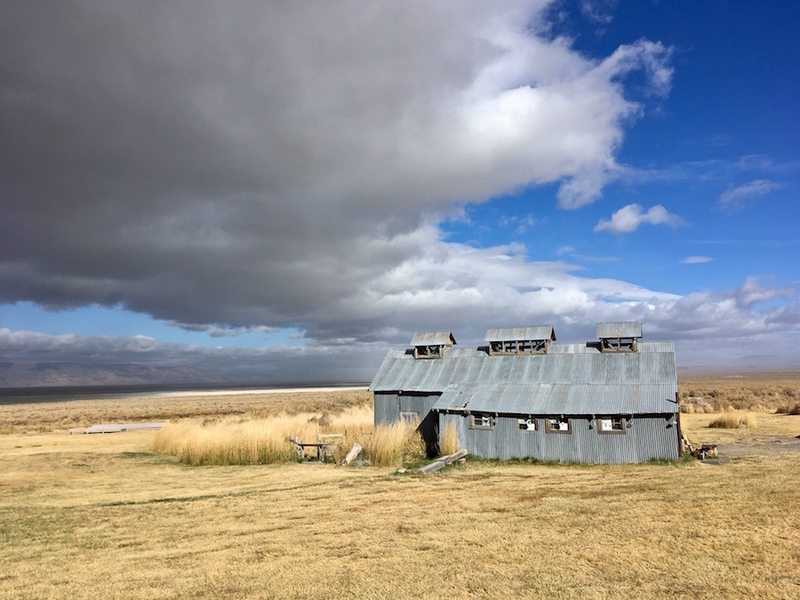 As it traverses miles of stunning desert, the trail also explores the philosophy, biology, politics and economics that have made Eastern Oregon a hotbed for natural-resource conflicts. It invites conversation about the urban-rural divide, about land-use policy, about the relative values of traditional agrarian industries and the new-age economy of recreation tourism. The route spotlights the natural beauty of public lands in counties where a chunk of the populace thinks the government shouldn’t own land at all. On January 2, 2016, armed militants occupied the Malheur National Wildlife Refuge in Harney County. 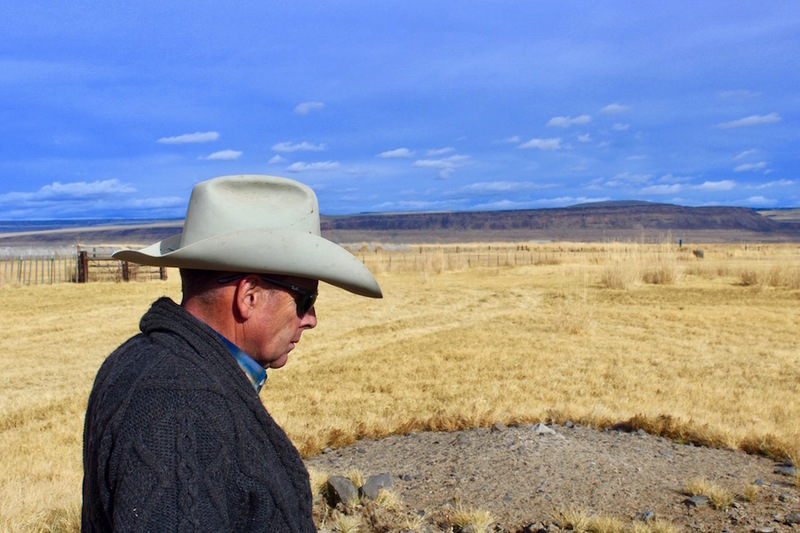 Rancher Ammon Bundy led the takeover to protest the conviction of the Hammond brothers for burning 139 acres of public land in 2001 near Steens Mountain. One occupier was shot and killed, and a dozen others pleaded guilty to conspiracy to obstruct federal officers, firearms violations, theft and depredation of federal property. Laird turns and points south to a cluster of dun-colored hills. The Oregon Desert Trail drops into the Warner Valley from there, he says. It runs along a paved road, then assails the escarpment of Hart Mountain, entering a national wildlife refuge. Debuted in 2013, the exceedingly difficult Oregon Desert Trail has attracted few takers compared with existing National Scenic Trails. According to an informal survey conducted by the Pacific Crest Trail Association, 912 hikers this year have completed the now famous route linking the Mexican and Canadian borders in 2018. Ten people this year have finished the Oregon Desert Trail. Despite the small number of completions, tourism agencies and the outdoor industry are funding Oregon’s longest thru-hike. The state tourism agency Travel Oregon earmarked the route as one of seven projects that will benefit from its forever fund. Hotels, restaurants and other tourist-facing business donate a portion of their proceeds to the fund. Projects must improve the visitor experience, restore the landscape and provide volunteer opportunities for Oregonians. Last year each of the grantees received around $6,000, a destination specialist with the agency says, and a smaller figure is expected this time around. Big outdoor-gear brands have lent support to the trail. The Bend REI store gave grants totaling more than $17,500 for trail maintence. Sawyer Products, an outdoor-gear manufacturer, chipped in around $1,000, and Cnoc Outdoors $2,500. MSR, one of the biggest names in the outdoor industry, promoted the trail on its Summit Post blog. The unconventional route has also attracted travel write-ups in national publications including The Washington Post and The New York Times. 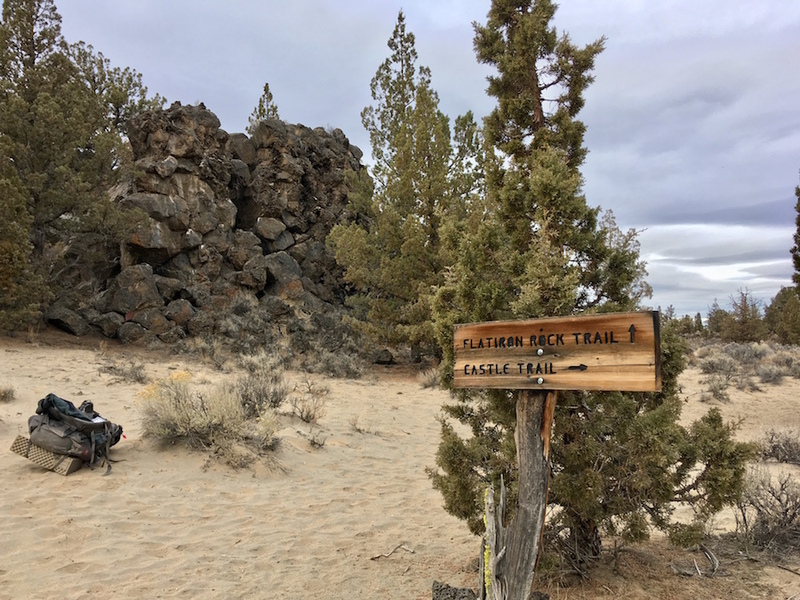 In 2014 The Oregonian reported that the Oregon Natural Desert Association petitioned the U.S. Department of the Interior to study the trail as a possible addition to the National Recreation Trails system. 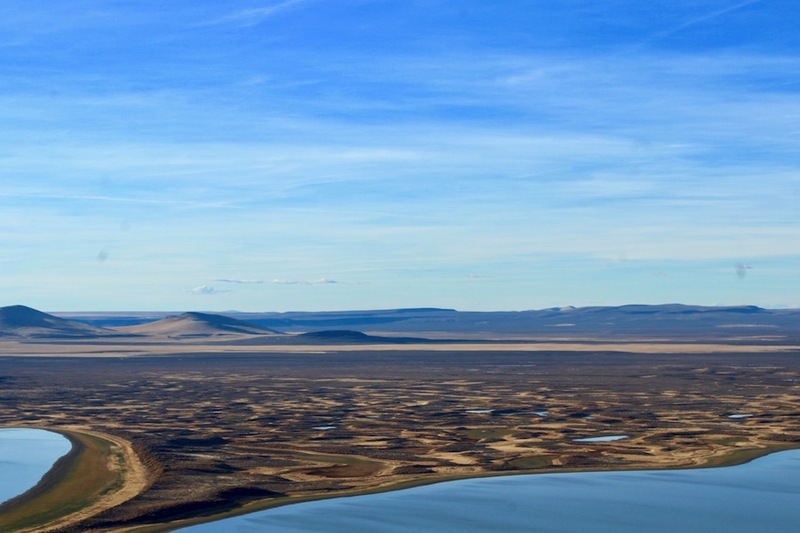 Seeking to represent ranchers, who are powerful players in the rural economy, the Lake County government petitioned the Oregon Natural Desert Association in January 2014 to halt part of the designation process. They feared that a proposal to connect part of the desert trail to the Fremont National Recreation Trail marked an early step in scenic trail designation. Malheur County commissioners sent a similar letter. Laird and other ranchers in Lake County don’t have a problem with the trail as is, but they fear designation could pave the way for scenic buffers of up to a quarter-mile on each side. In those buffer zones, agencies could ban motorized use and grazing. Along the Pacific Crest Trail, land trusts have succeeded in converting private land to public to make buffers that preserve a natural experience and allow easier access. 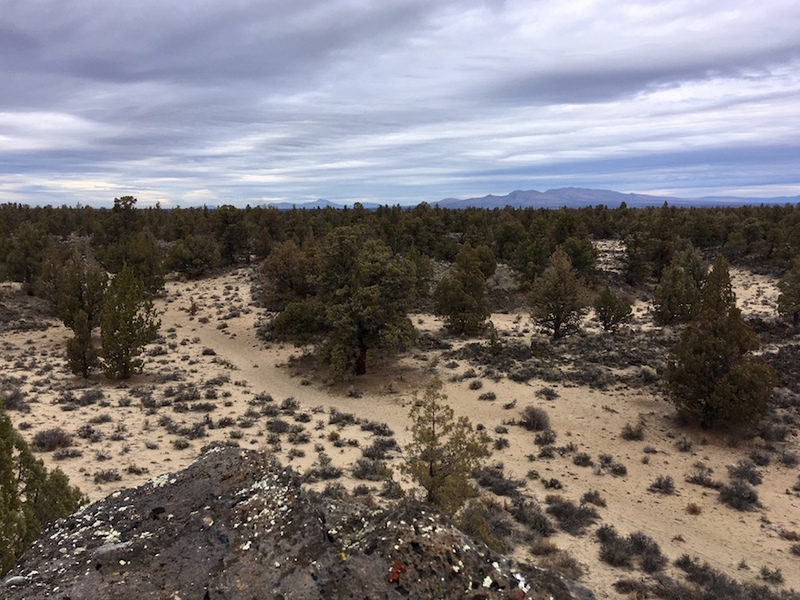 There’s a yawning gap between what rural communities think the Oregon Natural Desert Association is doing with the trail, and what ONDA says they’re doing. Lake County commissioners Bradley Winters and Dan Shoun say ONDA and the Bureau of Land Management have ignored their concerns about designation. “They pretty much couldn’t answer any of our questions about the use, and future use,” Shoun says. The last time Winters sat down in person with an ONDA representative was several years ago. It wasn’t the only time communication broke down in the design of the trail. Alice Trindle, regional manager for the Eastern Oregon Visitors Association in Baker City, barely averted a publicity crisis. She killed an article about the new trail out of fear of offending ranchers. A rancher and owner of a horsemanship business, Trindle is deeply in touch with the region’s traditional industries. While tourism is growing, agriculture and ranching still sustain a large slice of Eastern Oregon’s economy. According to the state employment department, crop and animal production supplied 7.5% of private-sector employment and 7.1% of private-sector wages in 2017. A total $1.7 billion of agricultural products were sold in Eastern Oregon in 2012, the most recent year for which data from the census of agriculture is available. Livestock sales alone generated $762 million. Tourism revenue in Eastern Oregon, though small by comparison, climbed steadily each year, from $316 million in 2010 to $383 million in 2017, according to Travel Oregon figures. About 900 jobs directly related to tourism were added in that time. Gagliano says the past few years in particular have seen a significant jump. There are also secondary effects that ripple through the economy. Although posters promoting the Oregon Desert Trail hang everywhere from the historic saloon in Paisley to the Summer Lake Hot Springs resort, Lake County businesses have yet to realize gains from the project. Sylva, an experienced thru-hiker, says he can’t see annual Desert Trail thru-hikers ever exceeding 20. Thomas Batty, who owns Tall Town Bike and Camp, one of the few outdoor stores in Lakeview, says he’s stocked a bit more fuel for ODT hikers, but otherwise the trail hasn’t made much impact on his business. He thinks that could change, however, as the recreation-tourism sector gains steam. Lakeview is seeing increased visitation from the Timber Trail, another relatively new long-distance route focused on mountain bikers, and the Desert Trail could follow suit. Patrick says most of the tourism boost comes not from thru-hikers but from those who tackle small sections. The immense challenge of the trail plays to the aspirations of the weekend warrior. “The 750-mile ideal is really compelling,” Patrick says. “It’s a reason to go back.” She estimates that each year around 250 people hike segments. Duane Graham, owner of the Summer Lake Hot Springs resort, shuttles in a handful of grateful hikers each year from an ODT trail junction 6 miles down the road. In a county where one new job is the equivalent of 520 in Multnomah County, and a group of five people makes a town, no visitor is insignificant. Given the air of general confusion, red-faced speculation or flat-out indifference in Lake County for the nascent trail, it would have been difficult to expect good results when Patrick ambled into the Warner Valley and ran into Laird at his ranch. “Oh,” he said, “you’re She-ra.” Patrick was shocked that this rancher knew her “trail name” — a moniker, like “Dirtmonger,” that thru-hikers adopt during their journey. Laird explained that he had been following her blog and the trail’s development, and that he was concerned about possible buffers. Patrick expressed gratitude for the water holes developed by ranchers. Without them, she said, the Desert Trail hikers would go thirsty. Part of the entrenched attitude of the ranchers comes from their long-standing relationship with the land. In 1867, Laird’s great-great-grandfather arrived in the Warner Valley with the U.S. Army. The Lairds carted in juniper posts on wagons to the Warner wetlands, setting up fencing and water holes for cattle. The early homesteaders fought off sporadic attacks from the Paiute Tribe as they migrated from Reno to Burns. Family folklore has it that one season, the Lairds housed an elderly woman whom the tribe had abandoned. Though she was blind, she always knew when the tribes were attacking. The only property the Lairds lost was one white horse. Not long after, in the early 1900s, the O’Keeffe family arrived from County Cork, Ireland. They raised sheep but converted to cattle in the 1960s because of labor issues. John O’Keeffe took over the operation from his father in the 1980s after earning an agricultural economics degree from Oregon State University. O’Keeffe has lived nearly his entire life in Adel, Oregon, 30 miles east of Lakeview. The Adel store, the only store in the unincorporated town, springs straight out of a Western. A group of ranchers in leather chaps and cowboy hats occupies the center. O’Keeffe, a 56-year-old, weather-beaten rancher, wears a white cattleman hat and a grey knit sweater. Laconic and even-tempered, he gives off an air of wisdom, the product of a lifetime of education and experience. On an afternoon in early November, O’Keeffe’s pickup reeks of smoke. He spent the morning burning the grass around his ranch buildings with drip torches. The burning creates a buffer that starves wildfires of fuel. O’Keeffe is chief of the local firefighting association, a volunteer group that tackles small blazes before they turn into “project fires.” The nearest actual fire department is a 40-minute drive away in Lakeview. Apart from fire, in any given year O’Keeffe battles droughts, floods, blizzards, coyotes and disease. In winter he drives around all night picking up freezing calves and warming them in a heat box. While ensuring the survival of his herd, he revitalizes the land; he rotates grazing areas, for example, to give native bunchgrasses a chance to store root reserves. In fact, many varieties of man, from Native Americans to ranchers, have come and gone from land thereafter protected as wilderness. 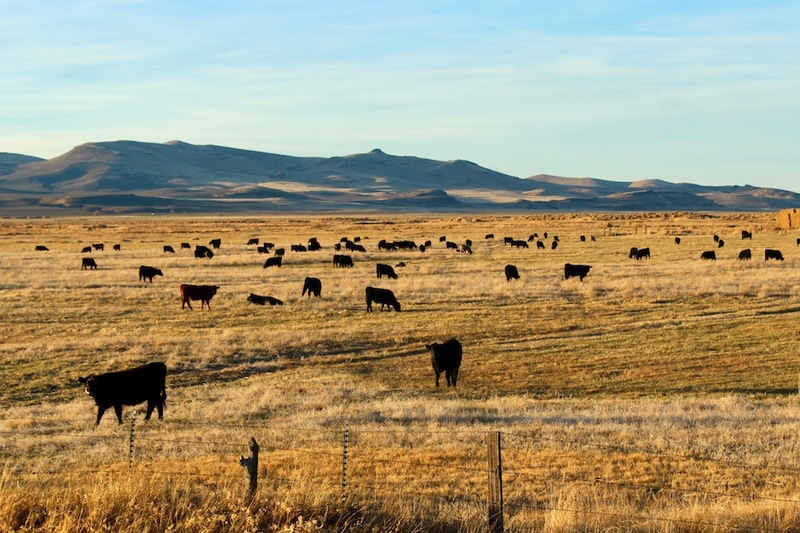 Ranchers say their proactive management strategies, from rotational grazing to prescriptive burning, helped prevent fires and maintain rangeland health. In the 1980s and 1990s, some environmentalists, uniting under the cry “Cattle free by ’93,” argued that sustainable grazing was an oxymoron. In 1987 a Bend resident took out a classified ad urging fellow environmentalists to come by Thursday night if they were interested in protecting public land in the high desert. Each member at that first meeting donated $5, and they dubbed themselves the Oregon Natural Desert Association. The nonprofit dedicated itself to preserving biodiversity in the fragile high desert. In 1991 it pioneered a method of citizen-led wilderness inventories later adopted by the Bureau of Land Management. In 1994 it convinced the U.S. Fish and Wildlife Service to remove livestock from Hart Mountain, a highlight of the Desert Trail near the Laird ranch, to protect pronghorn antelope and sage grouse. Perhaps most significantly, in 2000 the nonprofit led the effort to establish the first wilderness area in Eastern Oregon, Steens Mountain. In 1994, the same year ONDA protected Hart Mountain, Laird’s family lost access to greener late season feed on some 25,000 acres on the Warner wetlands. Laird says invasive Canada thistle proliferated when his cattle were barred from grazing. For another eight years, from 2005 to 2013, the Laird family chose to intervene in a lawsuit filed by ONDA against the Bureau of Land Management over grazing on Big Juniper Mountain. In the effort to preserve their grazing allotments, Laird says, the family quite literally bet the ranch. O’Keefe remains bitter about the results of a recent case in which ONDA contested the Bureau of Land Management’s inventory of lands with wilderness characteristics. The organization argued for protecting areas with existing roads and water holes, areas O’keefe doesn’t consider wilderness. He says, “they flat out didn’t take in the whole picture.” The negotiations are ongoing. Actions meant to safeguard the environment, ranchers say, ended up hurting it. After ONDA’s concerns prompted the U.S. Fish and Wildlife Service to remove cattle from Hart Mountain, Laird says, coyotes preyed on deer instead. Cougars came down from the mountains into the Plush valley. “It is an area of critical environmental concern because the BLM bought it,” he says. The Oregon Desert Trail begins with little flourish or fanfare. A small wooden sign for the Tumulus Trail, hidden a mile down a rough four-wheel-drive road, marks the official start. The route enters the Oregon Badlands Wilderness Area, one of the first ONDA campaigned to protect. In the early 2000s, the Oregon Cattlemen’s Association and a group representing ATV users fought the designation, but the environmental group won. 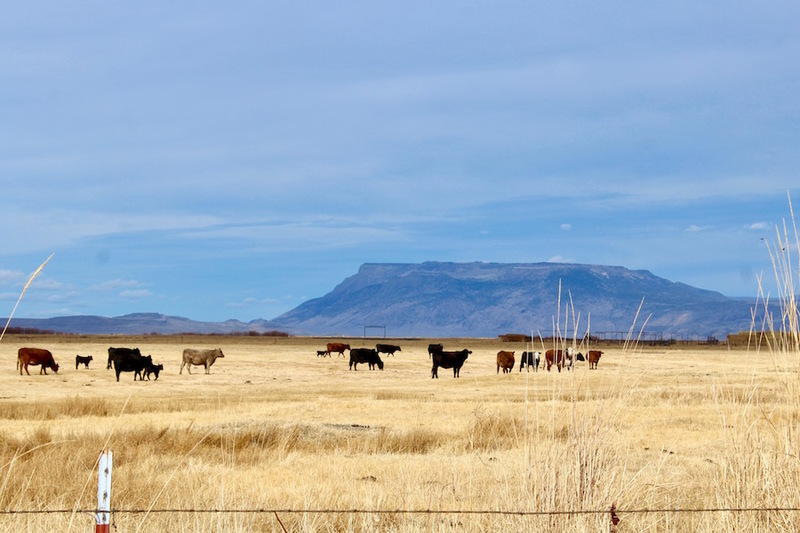 ONDA offered to buy grazing permits at an estimated cost of $100,000, winning over some ranchers. In 2009 Congress designated 29,180 acres as wilderness. I ran into a local duck hunter near the start of the trail. He said his family owned a ranch in nearby Alfalfa, and he spent nearly 40 years hiking the Badlands with no map or compass. Now, he says, he hardly goes there anymore. There are too many people. I couldn’t agree, as I didn’t find any more people on a 20-mile loop in the Badlands. The first seven miles of the Desert Trail offered a small sampling of its difficulties. I carried eight pounds of water uphill through sand. The route meandered through scant double-track, almost as if it was designed to lose hikers in a twisted maze of basalt and juniper. I navigated using a map and compass, and REI’s Hiking Project iPhone app, but was still fooled once by a deceptive side trail. The land exhibits the stunning characteristics of congressionally protected wilderness. Western juniper trees grow much larger than usual. Basalt tumuli, remnants of 80,000-year-old lava flows from a shield volcano, rise up in cracked and tortured sculptures. Mule deer bound through the woods. Everywhere there is solitude and silence. Patrick says a key function of the Desert Trail is educating hikers about public land like the Badlands. “We need these public lands in order to have long-distance routes,” she says. The route runs almost entirely on public land, and its guidebook describes in detail the eight types hikers will encounter. There are several precursors to wilderness designation, including lands with wilderness characteristics, wilderness study areas and citizen-proposed wilderness. Areas of Critical Environmental Concern also receive special protections to preserve wildlife and plant habitat. Environmentalists say all these designations are necessary to protect land as it progresses through the lengthy legislative process. Ranchers see needless bureaucracy. Both Laird and O’Keeffe feel crushed beneath layers of wilderness designations. The dispute can be described as a tug-of-war between two philosophies. The debate dates to the turn of the 20th century, when naturalist John Muir and forester Gifford Pinchot butted heads over their visions for a public-lands system. Some environmentalists, and the authors of the Wilderness Act, sought Muir’s approach of preservation, returning the land to an untouched state. Of course, that prompts a question about what “untrammeled wilderness” means on a planet that is evolving every second. Loggers and ranchers argued instead that conservation — proactive management and responsible resource use — actually lead to better outcomes for the ecosystem. Generally, both sides agree to a mix of both approaches, but the exact ratio is up for debate. Toward that end, Eiguren helped found the Owyhee Basin Stewardship Coalition. The group of ranchers and local families is advancing a new management plan for the area. The plan calls for temporarily lifting some wilderness designations to allow ranchers to remove invasive cheatgrass and medusahead rye, introduce appropriate perennial grasses and shrubs, and develop water holes for cattle and wildlife. Eiguren says the coalition is taking feedback on its concept paper and hopes to present to the legislature in the next few years. When Sylva opened a conversation with the cowboy at the edge of Louse Canyon, he kept talking about the nearby Owyhee monument. He seemed cautious. He suspected Sylva might be a clueless urbanite or, worse, an ONDA member. The Oregon Desert Trail evokes suspicion in some rural ranchers and politicians, but others see an opportunity for common ground. Unlike many other ONDA projects, the Desert Trail has benefited from the support of ranchers. Patrick spent long hours talking with the many private landowners along the route. She never ran into pushback, she says. Some ranchers even offered hot showers or water caches for hikers. Laird and I certainly do not think the same way about wilderness or the Malheur takeover. But in just an afternoon, I could empathize with some facets of his frustration. He doesn’t want to get 15 signatures on a 34-page document to access one water hole. He doesn’t want a hiker from Portland pulling up fences on Hart Mountain without understanding the families who put them there 150 years ago. Those dialogues might seem like small steps, but considering the decades of bitter legal battles that have characterized this land, they are giant leaps. The opportunity for further bridge building and discussion among polarized groups sets the Oregon Desert Trail apart from its long-distance brethren. 11/14/18: This article has been edited to reflect the following corrections. The U.S. 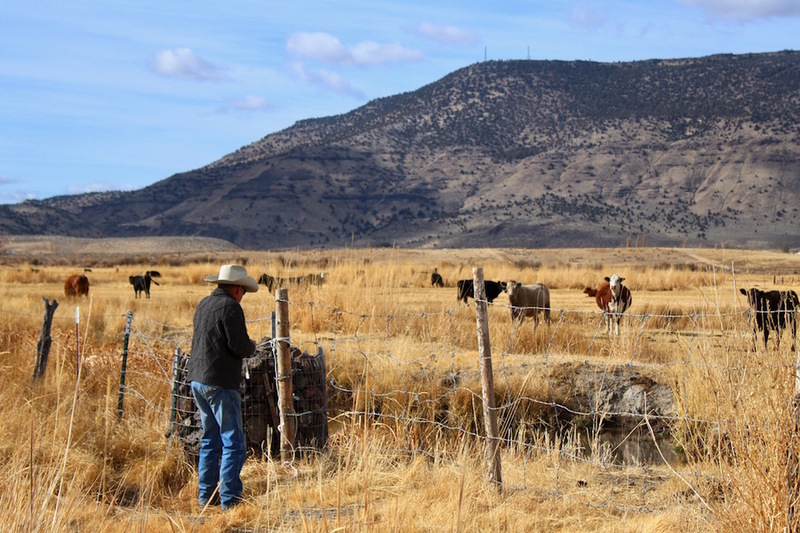 Fish and Wildlife Service, not ONDA, made the descision to remove cattle from Hart Mountain. In the ligitation over Big Juniper Mountain, ONDA sued the Bureau of Land Management, the agency that owned the land on which the Lairds ran their cattle. The Lairds voluntarily intervened in the case. Renee here: I did want to address one issue mentioned in the article about hikers going under fences and through gates. There are hundreds of fences on public land throughout eastern oregon, and it is perfectly legal to go over or under those fences or though the gates. I urge respect above all, and want hikers to realize that not all fences mean private land, and not all private land is fenced. I have clearly marked private land on the ODT maps so that hikers can know where they can and can’t go. Gates are to be left as they are found. We as hikers want to be respected as we travel through public lands and the land owners want to be respected for their livihoods and traditional ways of life. I also urge hikers to think about the people who lived on the land and traveled through it before modern civilization. 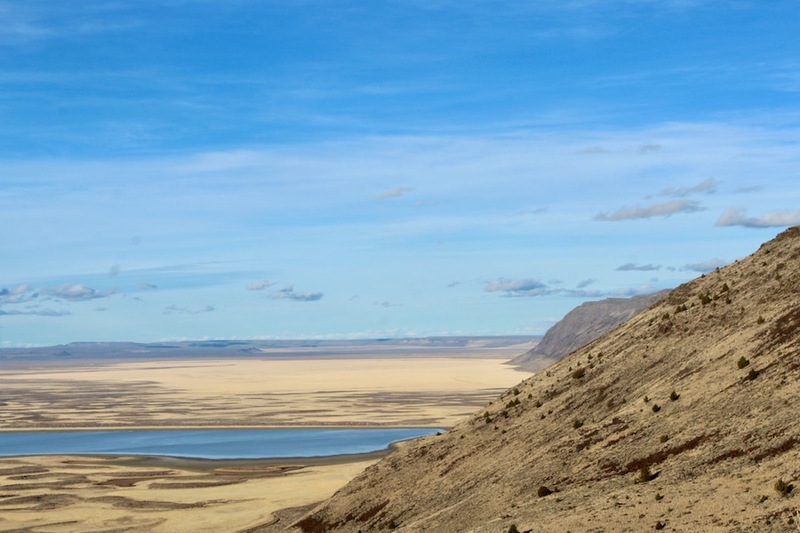 Eastern Oregon has the oldest traces of humans in North America along sections of the Oregon Desert Trail; sites of first nations people are dated back to over 14,000 years ago, and another site hasn’t been verified, but dates back to over 16,000 years ago. Hikers will pass by many areas of significance to these orginal habitants of Oregon.